Find Foil Stamping, Hot Foil Stamping, Hologram Hot Foil Stamping on Industry Directory, Reliable Manufacturer/Supplier/Factory from China. With hot stamping process, can be transferred to a wide variety of materials, such as paper, synthetic leather, fabric, iron, and plastic. It's well recognized that hot foils can easily promote the images and value of products. Hologram hot stamping foilsused on all kinds of product packaging, greeting cards, gifts, stationery, calendars, book covers credit cards, £ýeather articles & variety of plastics like telephone ÔÏetc. When incorporated with custom design pattern or logo, Hologram hot stamping foils become security foils that protect credit cards, passport, and value documents from counterfeit. (2) Your inquiry related to our product & price will be replied within 24hours. (3) Well-trained & experienced staff are to answer all your inquiries in English of course. (4) Our products are exported to Europe, North America, South America, Africa, many countrie s in Asia, all over the world. (5) Good after-sale service offered, please get back if you got question. Contact us if you need more details on Foil Stamping. 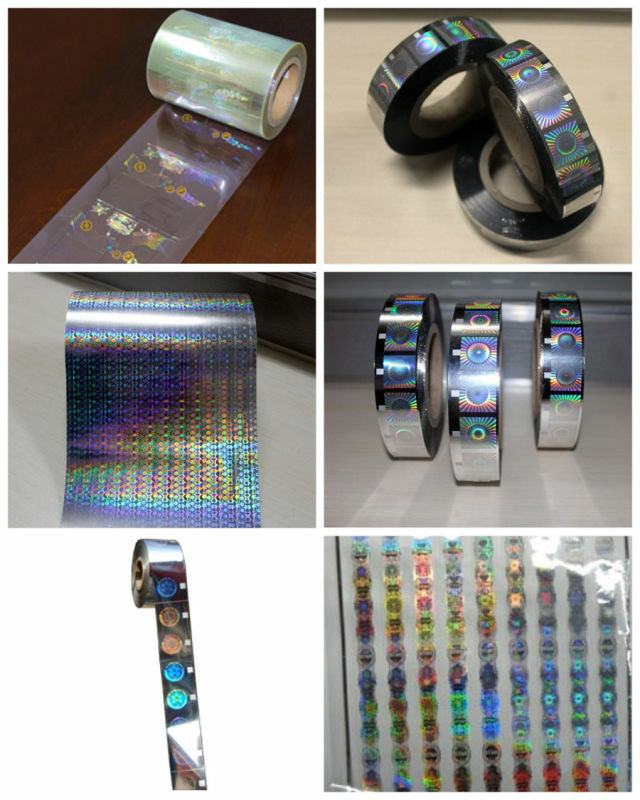 We are ready to answer your questions on packaging, logistics, certification or any other aspects about Hot Foil Stamping、Hologram Hot Foil Stamping. If these products fail to match your need, please contact us and we would like to provide relevant information.